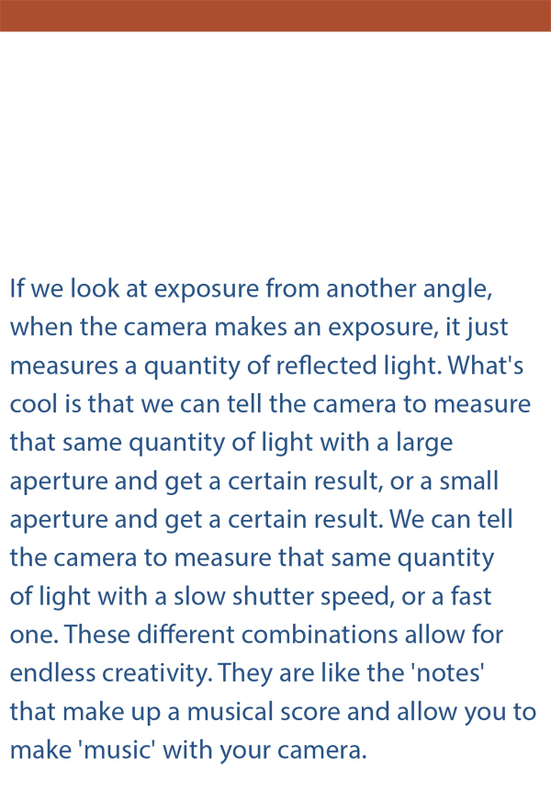 It gives me great plea­sure to announce the sale of Photography.ca’s first E-book! 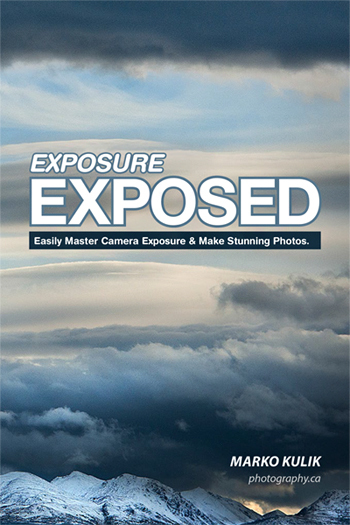 It’s called Expo­sure Exposed — Eas­ily mas­ter cam­era expo­sure and make stun­ning pho­tos. It was writ­ten by me, Marko Kulik the owner/Admin of Photography.ca. There’s no need to scroll down for the price, it’s $9.95 and for that price you’ll be able to boss your cam­era around like a Mas­ter. This 100 page E-book is in PDF for­mat which can be eas­ily read on any com­puter, tablet or smart­phone. You can down­load it here or at the bot­tom of the page. If after you’ve pur­chased it you still have expo­sure ques­tions, it’s my plea­sure to help by phone or email for 30 days after purchase. If you’ve ever strug­gled with under­stand­ing cam­era expo­sure and you want to make more cre­ative images, then this 100 page E-book will be per­fect for you. In order to take your pho­tog­ra­phy to the next level, cam­era expo­sure must be mas­tered. The good news is, it’s really not that hard when the con­cepts are explained in a light con­ver­sa­tional style with inter­est­ing pics that help illus­trate expo­sure con­cepts easily. 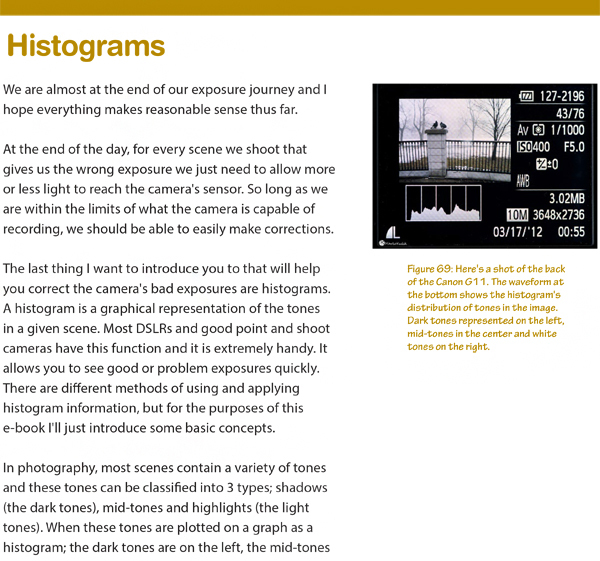 I start off at the most basic level by intro­duc­ing the indi­vid­ual parts of cam­era expo­sure and what they do. Here’s a sam­ple of part of page 4. 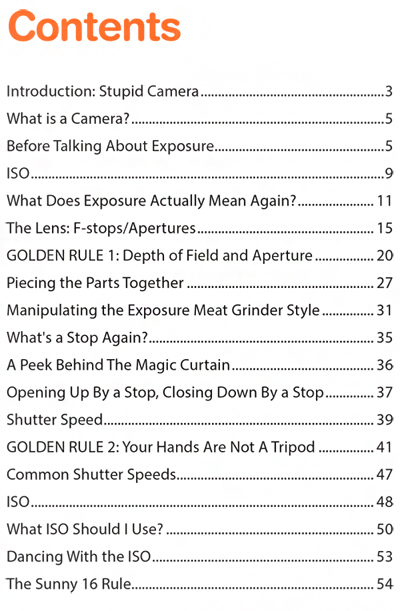 One of the goals of this E-book is to get you past expo­sure basics of aper­ture, shut­ter speed and ISO so that you can make more cre­ative images. 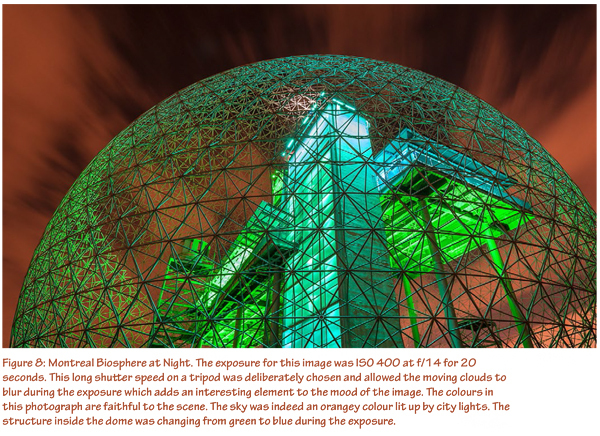 I include lots of my own images along with the rea­son­ing behind my expo­sure choices. Here’s an exam­ple from page 12. As we sail through the basic con­cepts of expo­sure, tips and tricks are offered to help you remem­ber impor­tant con­cepts so that they stick. There’s even a handy table that you can carry around with you in the field. By the end of the book we even talk quickly about his­tograms which helps you pro­tect the tones in the lighter parts of the image. Here’s a sam­ple from page 94. Please remem­ber that it’s my plea­sure to help with expo­sure ques­tions by email or phone after purchase! Hi Marko! How BUSY can one pho­tog­ra­pher BE? lol. Q2. If your ebook DOES include my type of cam­era, how do I pay if I don’t have a credit card? I have Pay­Pal, a bank debit card, and cheque­book, lol. Oh, and money. lol. Thanks, and again, hearti­est of con­grat­u­la­tions on this accom­plish­ment! Do you have any time to take PICTURES any more? hah! Hi Linda — thanks for your inter­est and for the congrats! 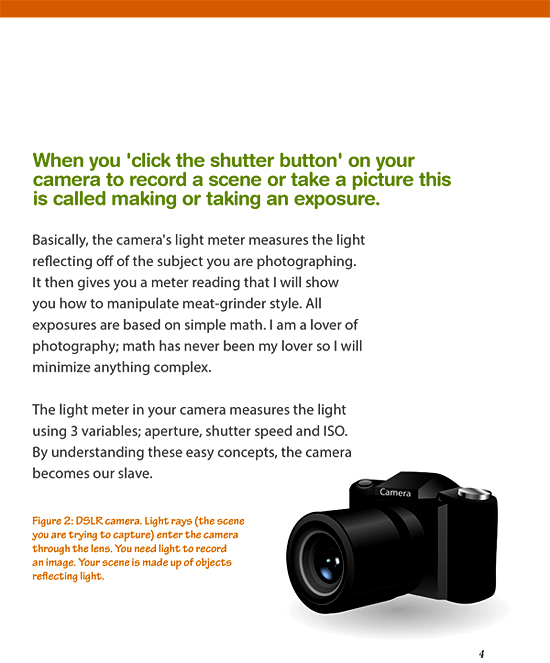 Yes indeed — this ebook will work well for your cam­era or any point and shoot cam­era or SLR or DSLR camera. Pay­pal is the eas­i­est way to pay, so no issue at all.